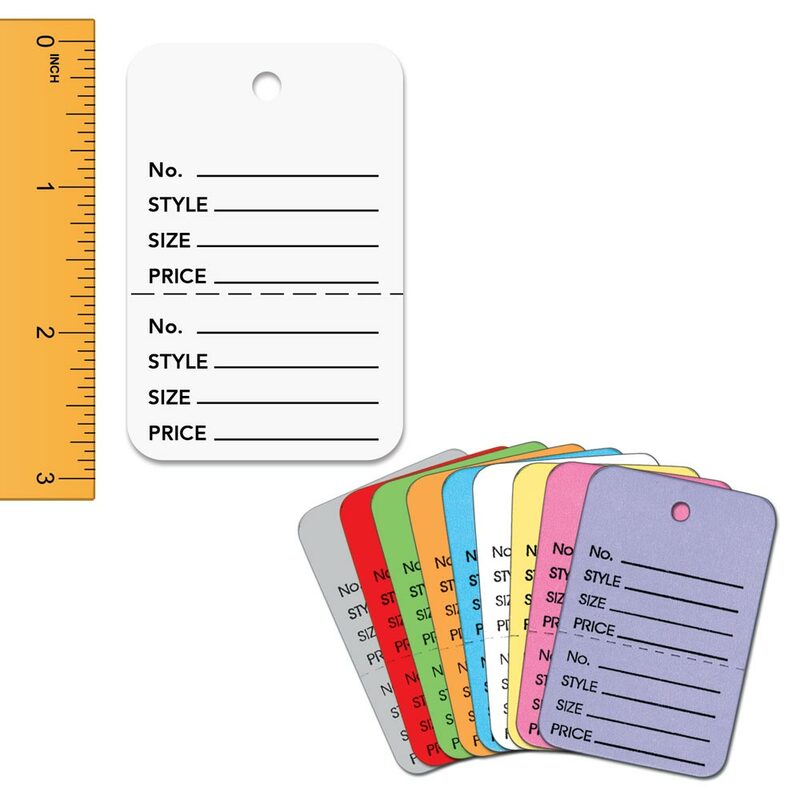 These Large Perforated Tags are preprinted with Number, Style, Size and Price. Tags are made of card stock with a smooth finish that you can write on or use the tags with a barcode labels. Each tag is perforated for convenience.